Vapor Group, Inc. (OTC Pink: VPOR) (“the Company”) continued its successful run this week, securing a purchase order for approximately $100,000 from White Label Liquid, Inc. (OTC Pink: WLAB), an industry leader in the CBD private-label manufacturing business. 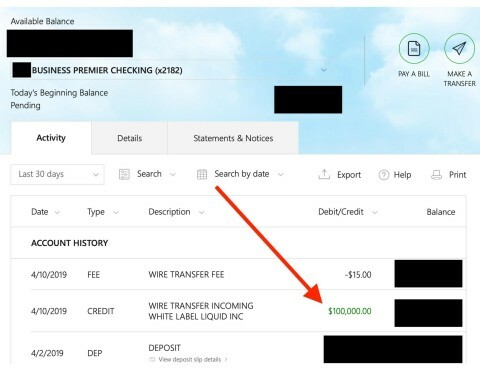 White Label Liquid has built itself up as the go-to manufacturer for many popular brands in the current CBD marketplace. More From BioPortfolio on "Vapor Group, Inc. Secures $100,000 Purchase Order from White Label Liquid, Inc."